Finely crafted in the USA from North American Hardwoods. Sanded, ready to finish in stain or paint. Available with notched detail to give the look of a built-in furniture component. 5/16" steel tapping insert for hardwood installed in one end. 5/16-18 wood dowel screw installed in 1 end. Dowel screw installed to protrude 1". 5/16-18 hangar bolt installed in one end. Hangar bolt installed to protrude 1/2". The smooth finish of the Danish Bun Foot will enrich your Mid-Century decor with a modern twist. Establish a theme using all wood and metal components from the Mid-Century Collection. Tapers from 1.25" to 1.09"
Matching components available in the Mid-Century Collection. 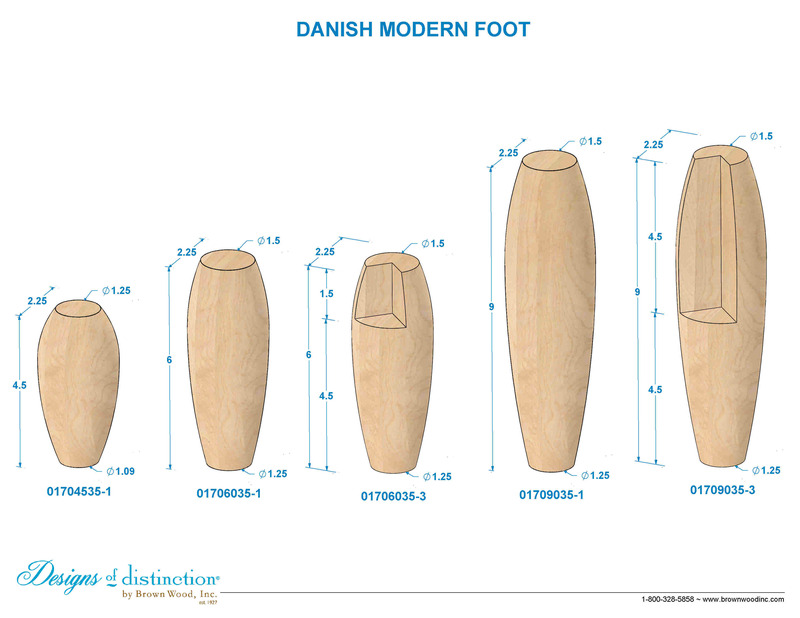 Customize the Danish Modern Bun Foot by choosing an Add-On.